Celiac and gluten-intolerance is NOT a competition, it’s a team! 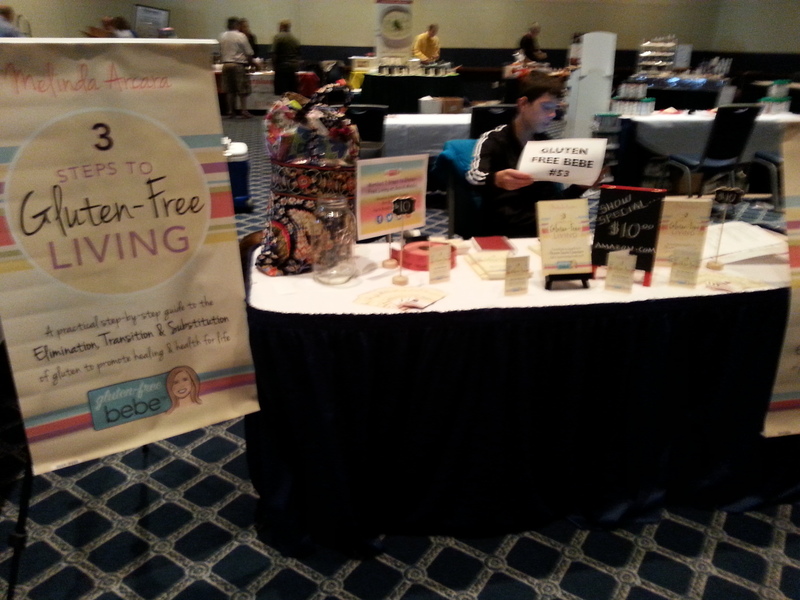 This past Sunday, I took my two children and drove 3.5 hours (each way) to a gluten-free expo in State College, PA. Gluten-free shows are rare, so I didn’t hesitate when I heard they were looking for vendors for the show. The last gluten-free show I attended was three years ago in Philadelphia. I had just launched my blog and spent the day meeting other bloggers, book writers and listening to talks from physicians and patient organization. 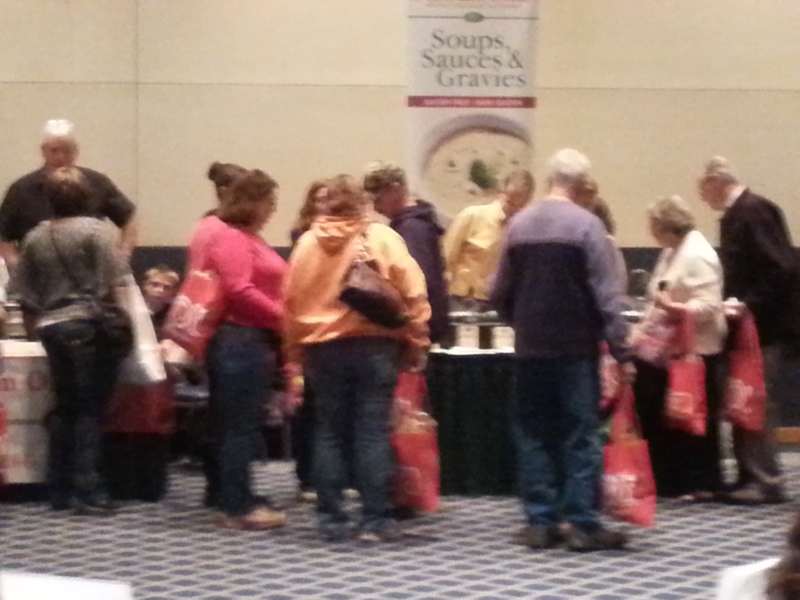 Not to mention sampling a wide array of gluten-free products and arm fulls of yummy samples. It left a huge impression on me because I was surrounded by people that understood that one person’s food is another’s poison, which is gluten for us. I had a basket raffle, gave books as door prizes and donated magnets to the first 500 attendees in their product gift bags. To say I was excited about this show is an understatement. 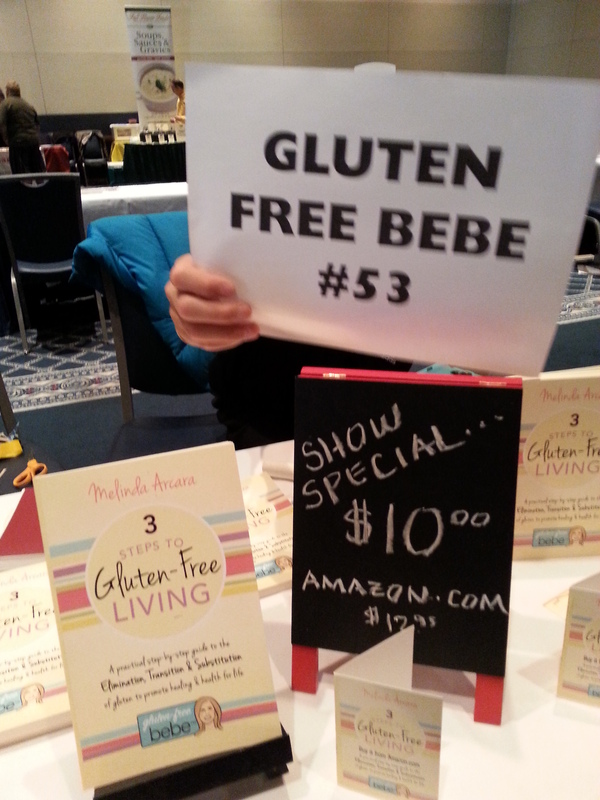 For 6+ hours I stood at the booth and talked with hundreds of people about my book and their gluten-free journeys. I heard stories of pain, depression, anxiety, migraines, intestinal distress, despair and frustration, just to name a few. Celiacs with multiple autoimmune conditions had the saddest stories. One woman finally got her celiac diagnosis only to find out a year later that she now has Huntington’s disease. Huntington’s disease, which is another autoimmune disease that causes the progressive breakdown (degeneration) of nerve cells in the brain. I was humbled (and saddened) listening to her fear and desperation for relief. Of all the people I talked with that day one woman, a mother of a celiac sufferer, made a comment that rocked me to my core. I was talking with her daughter, a nurse that was diagnosed 3 years ago with celiac, about my books ability to keep information about shopping, eating out and traveling, organized. I began to walk toward the Mom to explain to her that Yes, I was not diagnosed with celiac, but I had been suffering with a multitude of symptoms since I was 14 years old. I wanted to tell her how humiliating it was at 16 to spend the day in the hospital on an IV doing the exhausting prep for the following days colonoscopy. I wanted her to hear how many bladder infections, sinus infections and throat infections I had in my 20’s and how much money was spent on tests and antibiotics to try and figure out why they were so recurrent. Maybe if she knew how heartbroken my husband and I were because we couldn’t conceive our children without the help of a team infertility doctors in my 30’s. We never hesitated a moment to spend our savings of over $30K to get pregnant with our amazing children. After all that, she should’ve heard about my 40’s and the arthritic pain, gastrointestinal problems, depression, anxiety and debilitating migraines I battled. I wanted to tell her about the tens of thousands of dollars that has been spent over my life seeking an explanation and diagnosis for the years of pain and hardships only to find out, on my own, that food was my poison. I was probably the only gluten-intolerant person to want a celiac diagnosis only to have a name for all my suffering to validate to others that it was real. 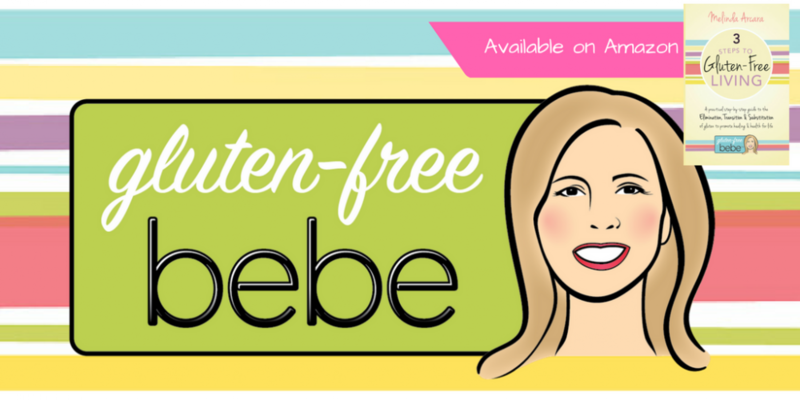 I found that because doctors couldn’t give me a positive celiac diagnosis, I was left with a nameless condition and on my own to figure out the gluten-free world, and it was not easy. I wrote my book to help others comply with a 100% gluten-free diet quickly, easily and less expensive than I had. I don’t claim to be an expert in celiac, but I do live it every day, especially now since my husband was diagnosed with celiac. So, to the mother of the nurse that was so angry that I wrote a book to help celiac and gluten-intolerant suffers without a true medical diagnosis, I want you to know that giving up the traditional ethnic foods of my family, spending extreme amounts of money on gluten-free foods and not going out with friends to restaurants because the fear of being glutened is not something I do to seek attention. I do it to try and keep my immune system strong. I don’t want to suffer in my up and coming 50’s like I did my previous decades. And to the daughter/nurse, thank you for buying my book and being kind and empathetic to me while your mother stomped away. Please encourage her to read the section of my book entitled “A Message to Your Family.” It’s directed to the family and friends of gluten intolerant to ask for encouragement, empathy, patience, advocacy and open mindedness, which should be shown to anyone suffering from food sensitives or allergies…diagnosis or not. Statistics say, one percent of the population is diagnosed with celiac, but up to twenty percent has a gluten-intolerance. It’s that twenty percent that is driving change in the market and demanding legislation to provide laws for safer labeling. There is no hidden competition between celiacs and gluten-intolerant, we are a team and should be supportive to each other. Everyone at the show had a reason to be there and every vendor wanted to make life a little easier for each of them, including myself. In the end, I spent way more money on the show than I made on the sale of my book, but the lasting memories of all the wonderful people that did stop to talk and listen to me made the whole day worth while.